While there's definitely something to be said for rooms that weave in a ton of color, we're equally fond of monochromatic interiors. There's nothing better than drawing inspiration from a myriad of shades belonging to the same color family, unless of course, you're one of the clever few that have been able to figure out how to make use of a single perfect shade. This tone-on-tone look is dramatic, intriguing, and very au courant. And there are plenty of benefits to sticking with one color. For instance, it will narrow your focus — you'll only spend time searching for accents that share the exact same shade. Plus, a limited palette seemingly has the power to make a room look and feel more open. Scroll on for seven stunning spaces that have truly captured the art of the tone-on-tone look, a trend that we're calling "the new monochrome." 1. Match your headboard to the wall. 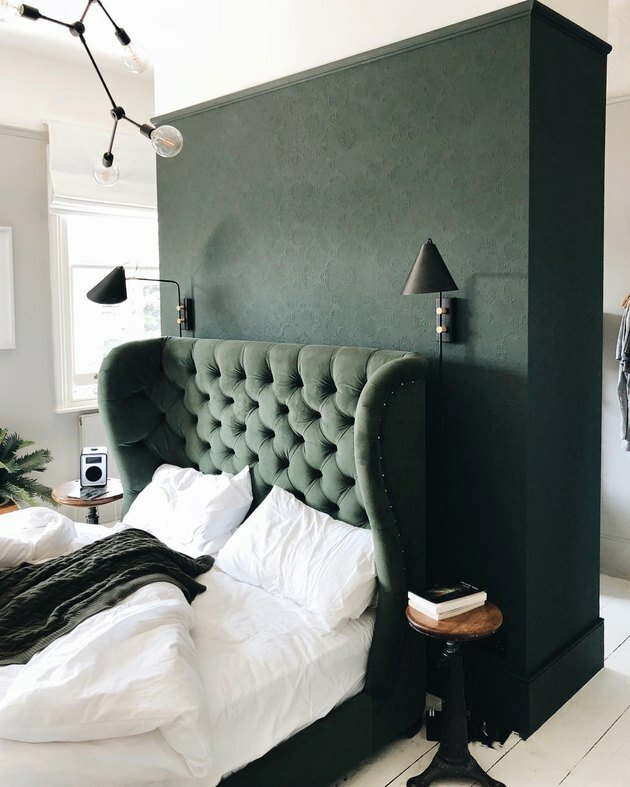 Hunter green is a color that's getting a lot of attention these days, and it quite possibly has never looked better than in this bedroom belonging to journalist and blogger Kate Watson-Smyth of Mad About the House. We think it's brilliant that she matched her tufted wingback headboard to the green accent wall behind. And kudos for the matching wall sconces. 2. Pair decorative objects with the room color. If you want to ease into the tone-on-tone trend, opt for greige. It's a gentle color that won't overwhelm a room, and it's oh-so-soothing. 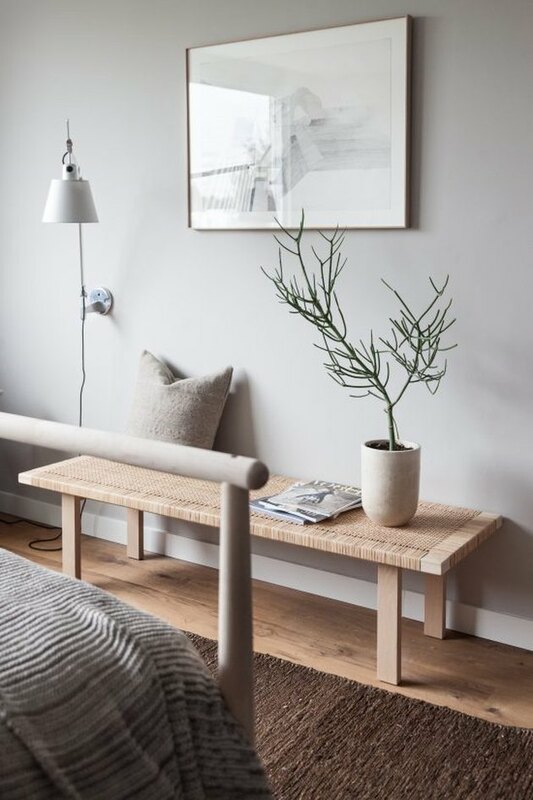 Whether you choose greige or something else, take notes from this guest bedroom designed by the team over at Avenue Lifestyle and bring in decorative items and art pieces that echo the same shade. 3. Don’t be afraid to layer black on black. One of the easiest colors to layer is black, since varying shades won't be as obvious to the eye as say blue or pink. 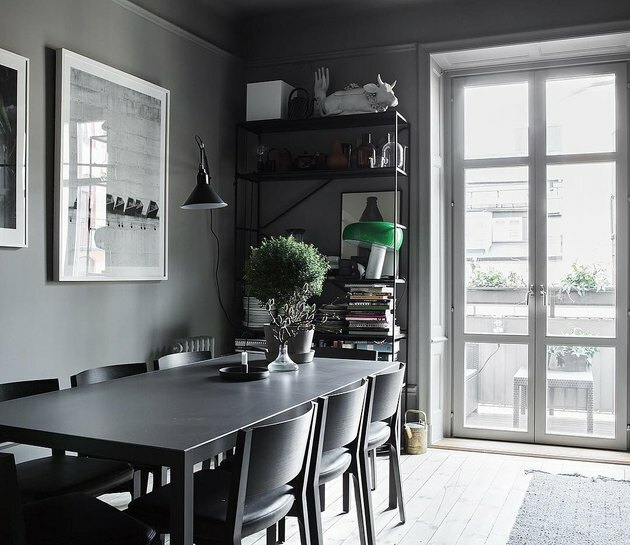 In this dining room, the black dining table and chairs pair seamlessly with a black bookcase and lamp that all come together to create a cool, moody vibe. 4. Consider the details, down to the furniture. To truly commit to the tone-on-tone aesthetic, you'll need to incorporate things like flooring, built-ins, and furniture. 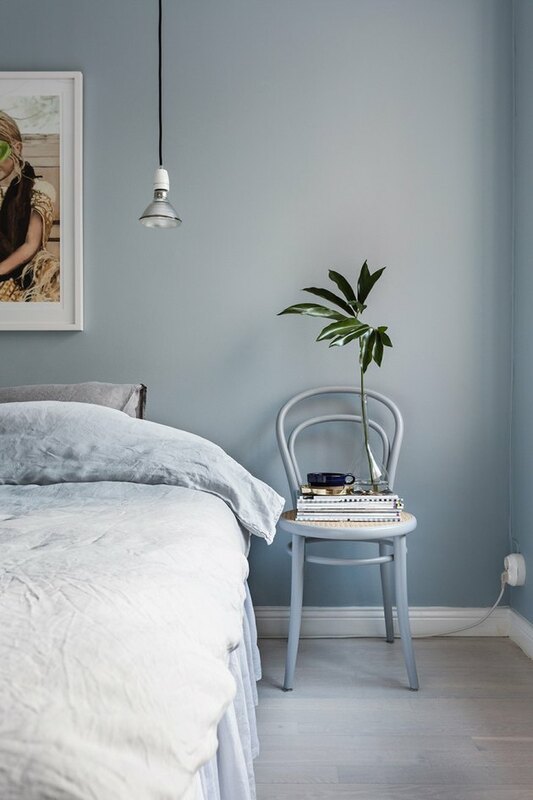 This soft blue bedroom is a perfect example with its matching accent chair — even the bed linens and floor have a similar blueish tint. 5. Go monochromatic with every wall element. Instead of pairing a white built-in bookcase with a gray wall, why not paint the shelving the same color as well? 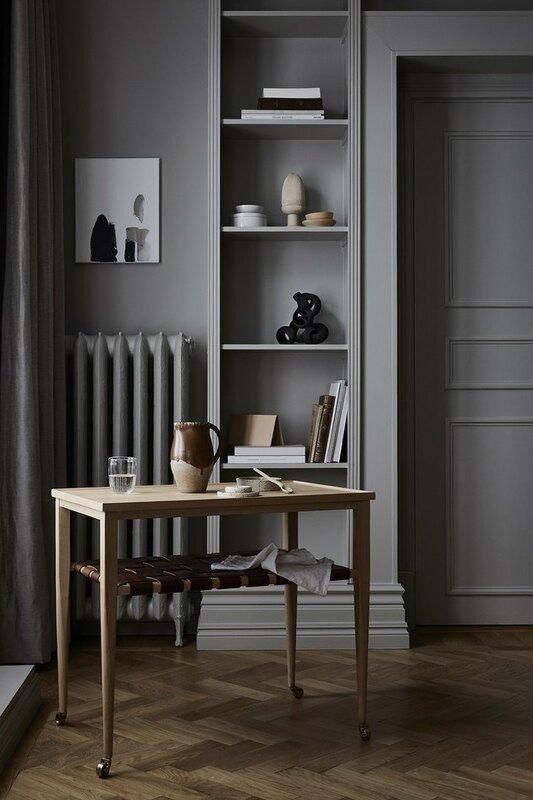 This modern space created by Swedish designers Elin Kickén and Evalotta Sundling is all-gray, from the molding, to the built-in shelving, even the radiator. If you're drawn to a vibrant hue and you want to give the tone-on-tone look a try, we say go for it like Christine Zeiler did in this living room. 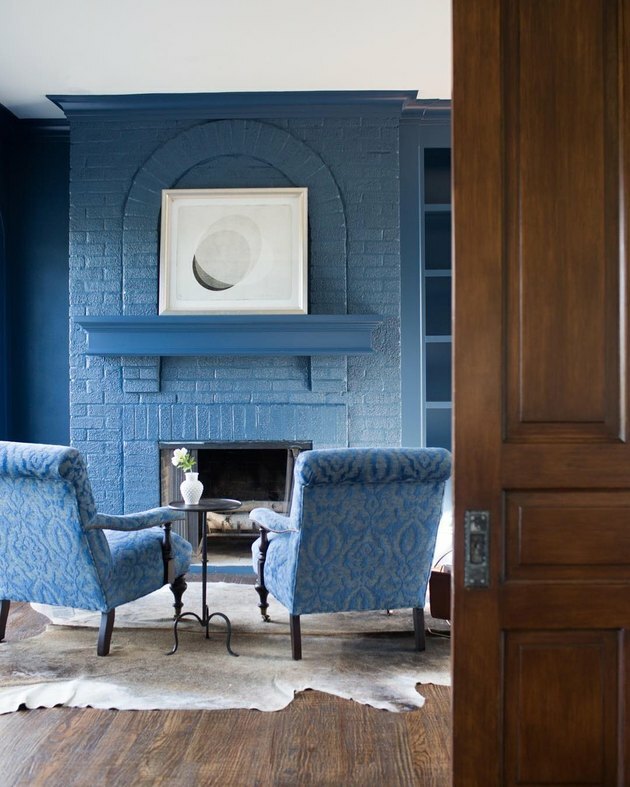 The blue chairs match flawlessly with the blue fireplace surround and walls, coming together to create a dreamy cerulean scene. 7. Create interest with texture. In order to really make your tone-on-tone room come alive, bring in a wide variety of textures. 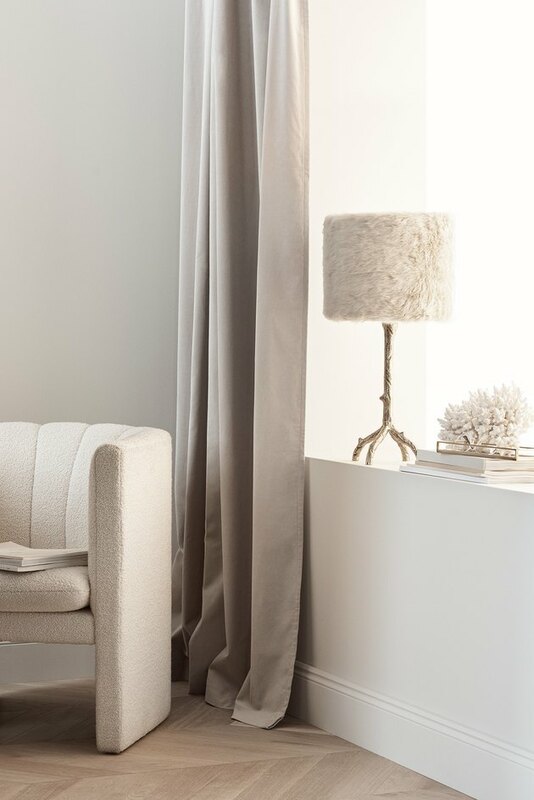 In this space shot by photographer Pia Ulin, a nubby accent chair sits alongside a faux-fur lampshade and a piece of coral, all displaying the same shade of beige as the walls. What Paint Colors Go With Gray? How Can You Decorate With a Taupe Sofa?